Please support your Society by buying goods and telling your friends and family about them. We are proud that these are all high quality goods, and any profit from the sale of these items goes to the Society funds. Items below are available from our Admin Office. Please make cheques payable to Behçet’s Syndrome Society and post to Kemp House, 152 – 160 City Road, London EC1V 2NX. In addition, BSS cycling jerseys are available from Godfrey Sports – just follow this link and type Behçet’s Syndrome Society into the ‘Find your club’ box. 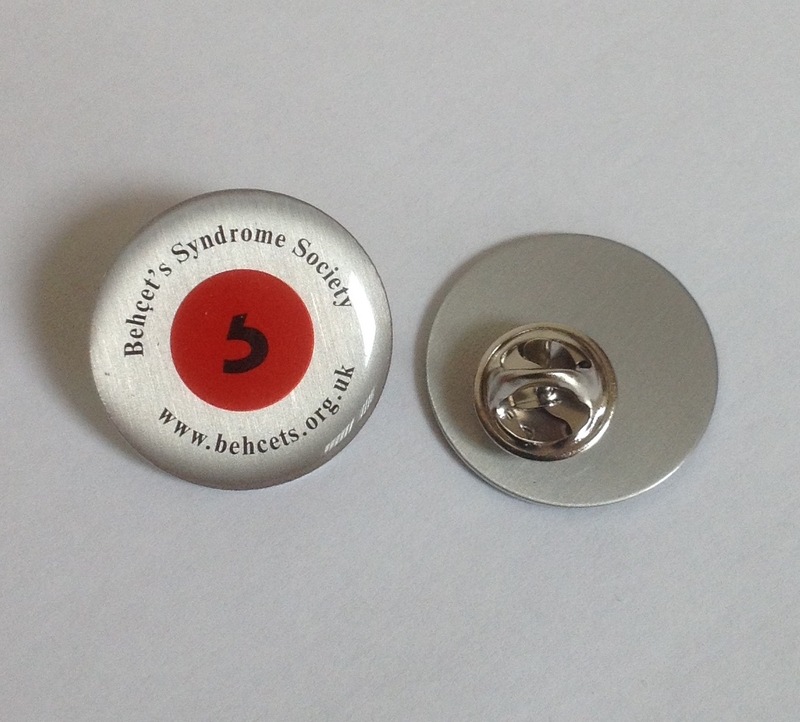 Our Pin Badges are a super way of raising awareness. Only £1 each plus £1 p&p for up to 5 badges. 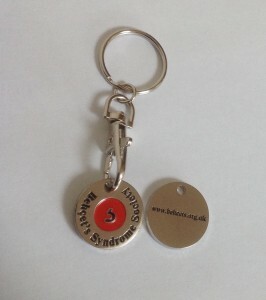 Key rings that can be used in place of a £1 coin in shopping trolleys and some lockers too. 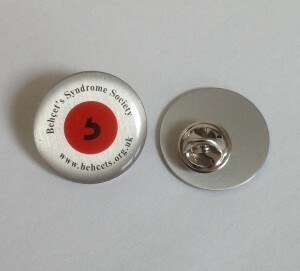 Society website is on the reverse of the key ring too. We are selling these new key rings for only £1.50 each plus £1 p&p for up to 3 key rings. These are stylish ballpoint pens with the Society logo on the side. They write with black ink, and we are offering them for just £1 each, plus £1.50 p&p. You can order up to six pens for the same p&p cost. 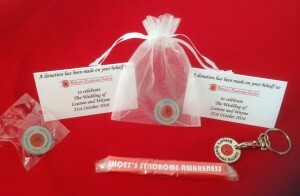 These are red, durable wristbands displaying Behçet’s Disease Awareness. They cost just £2 each, with postage just 99p for up to 10 bands. Reduced to just £1 each with £1 p&p for up to 10 bands! We can now provide wedding favours and cards. Email us for more information.